IF YOU have an SBI account, you must have to keep a minimum balance or else the bank will charge fine from you. 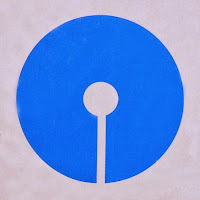 Country's largest bank has made it compulsory for account-holders to maintain a minimum balance, the State Bank of India (SBI) last week said it will be charging defaulters a penalty from April 1 onwards. for accounts in metropolitan areas, Rs. 3,000 in urban areas, Rs. 2,000 in semi-urban areas and Rs. 1,000 in rural areas, the SBI outlined the charges. The move is seen as a bid to encourage customers to keep more deposits in banks. These charges will be based on the difference between the minimum balance required and the shortfall. For metropolitan areas, if the shortfall is greater than 75 per cent, the charges would be Rs. 100 plus service tax. If the shortfall is between 50-75 per cent, the bank would charge Rs. 75 plus service tax and for below 50 per cent shortfall, a fee of Rs. 50 plus service tax would be levied, according to the SBI notification of new charges. In case of rural areas, the penalty for non-maintenance of minimum balance ranges from Rs. 20-50 plus service tax. The public sector lender would also renew from April 1, the Rs. 50 charge for people carrying out over three cash transactions at its branch within a month. This charge is applicable currently as well. However, there is no upper limit on the amount of cash transacted. "These cash transaction charges at branches are already existing. The same have been renewed for the next financial year from April 1. It is to deter the customers from visiting the branch but the charges are very nominal. As it is, the customer does not need to visit the branch often because we provide 10 free withdrawals in a month from ATMs," a SBI official was quoted by a news agency as saying.